The NFL announced today that Minnesota Vikings running back Adrian Peterson has been suspended for the remainder of the season after he pleaded no contest to a misdemeanour count of reckless assault of a child. The suspension will cost Peterson the remaining $US4.15 million of his $US11.75 million salary this season. 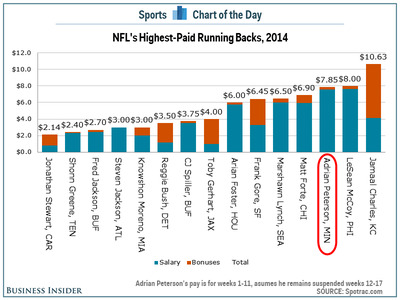 However, despite not playing since the first game of the season, Peterson did receive his regular salary for the first 11 weeks of the season. 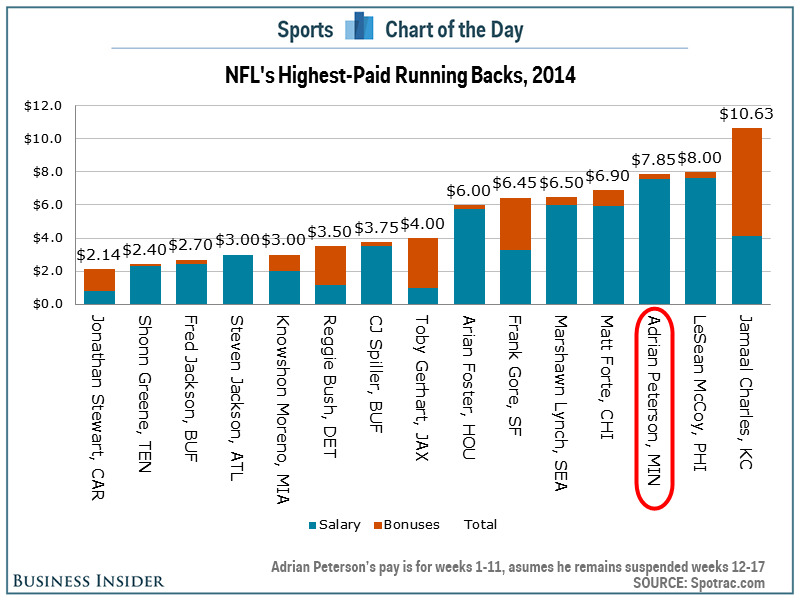 As a result, Peterson will still be the third highest-paid running back in the NFL this season, making $US7.85 million including both salary and bonuses paid this year according to Spotrac.com. That’s a lot of money for 21 carries, two catches, and no touchdowns.